A story started 70 years ago. The Olive tree growers association of Malcesine was founded on 6 October 1946. 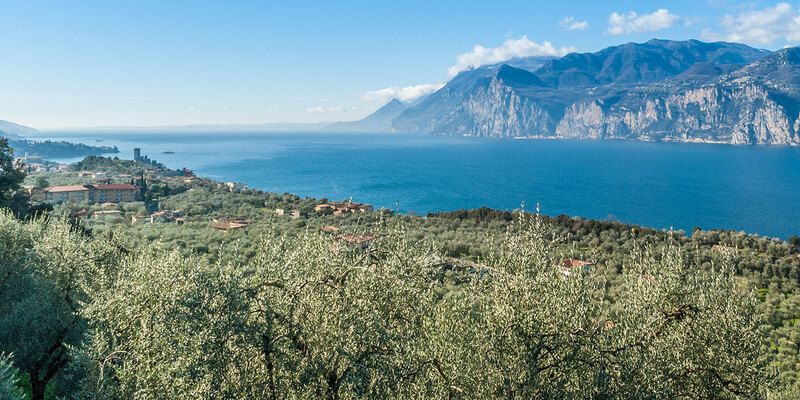 … the establishment of the association aims at protecting the product from the illicit speculators’ greed through the solid union of the olive tree owners living in Malcesine. Small producers of olives in Malcesine wanted to build their olive oil mill to press their own product in order to be independent from other privately owned mills. The association’s membership has always been assigned only to those who owned olive trees in Malcesine and in the neighbouring towns. 550 members owners of 46.000 olive trees 90% of which are centuries-old tree of whom 99% belong to the local variety Casaliva or Gentile. The average olive production is about 4500 quintals. 750/800 quintals of oil are produced of which 60-70% are intended for private use while the rest is sold by the association in its two shops: the Old and the New mill. How long have olive trees been cultivated in Malcesine? The cultivation of olive trees probably dates back to the Roman Times. During the IX century the spread of this plantation has certainly been influenced by the monasteries of Northern Italy as they needed olive oil for their sacred rites and to enlighten their churches. The monastery of Saint Colombano in Bobbio, in its statute dating back to the 835, declared “Garda deputavit ad olium”. Even in Malcesine, there are documents testifying the presence of this cultivation in Val di Sogno, since 900 A. D.